Passing through a supermarket bakery department, a gift box of decorated Penguin Oreos caught my eye. I fell in love with their beady little eyes and chocolate tuxedos. I didn’t buy them, but I didn’t forget them either. 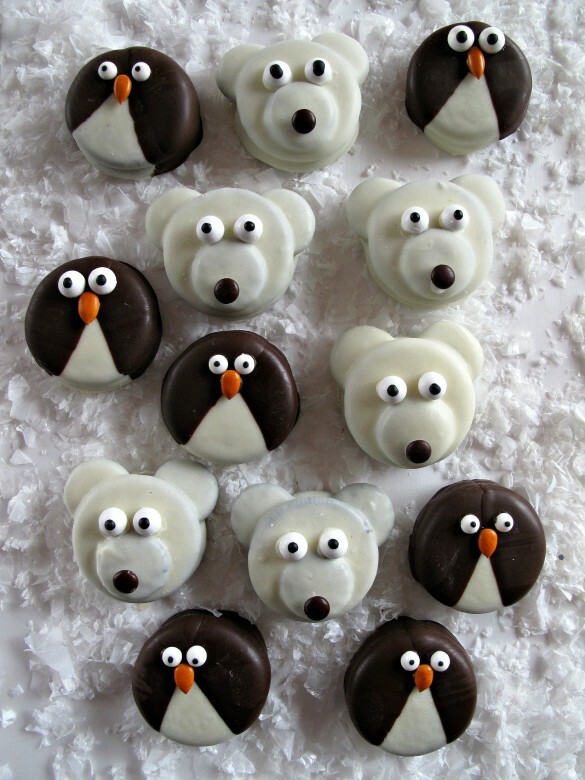 Penguins and Polar Bears became the theme of this month’s military care package and chocolate covered Penguin and Polar Bear Oreos are the special feature. While Googling a few facts for this post, I learned one fact that makes this theme silly and another fact that makes the theme serendipitous. I chose polar bears and penguins because I thought I was following a polar theme. As it turns out, both animals ARE polar, but live at opposite poles! Penguins live in the southern hemisphere and polar bears live in the northern hemisphere. That’s probably a good thing for the penguins, who would most certainly become polar bear snacks. My other discovery could almost make me seem like a blogger who plans ahead. I learned that January 20th is “officially” Penguin Awareness Day (with its own Facebook page). 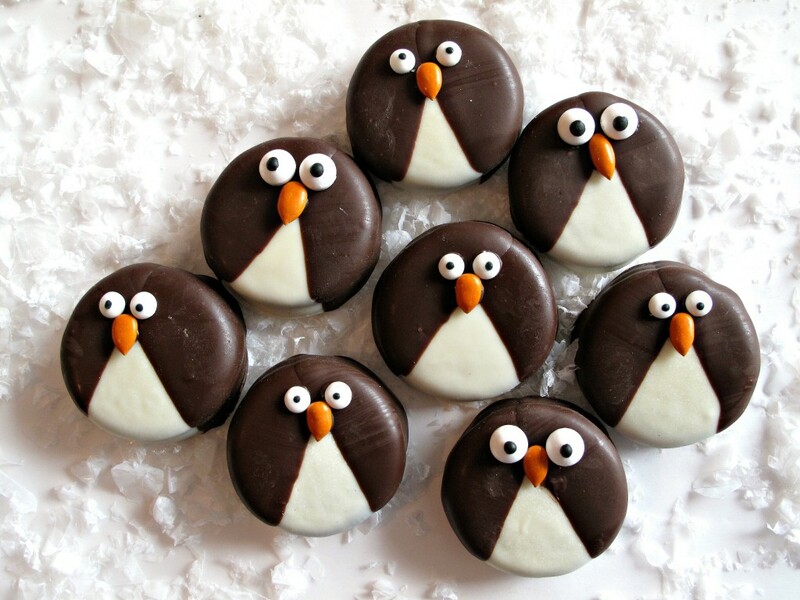 Though the banks and schools won’t close for this holiday, it would be an excellent reason to make some Penguin Oreos. I mentioned in my previous post that I “adopted” a female sailor through Soldiers Angels and will be sending her monthly care packages until her deployment ends. My intent is to communicate through cookies, my gratitude for her service and a small taste of home. The rest of the box is filled treats and trinkets that will hopefully cause some smiles. 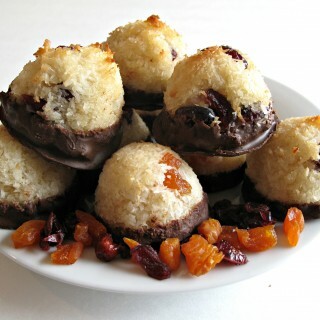 I share my recipes and theme suggestions as a resource to anyone looking for care package ideas. Had I known I would be working on a Penguin and Polar Bear theme a little sooner, I probably could have found some cute penguin wrapping paper in the Christmas aisle. On half price clearance would have been even better. The real trick to ongoing care packages is to keep your eyes open at all times for potential themes and contents, and collect goodies as you find them. I didn’t find penguin wrapping paper, but I did find penguin stickers on clearance. The large flat rate box was lined with snowflake paper (from last January’s snow theme) and dotted with penguin and polar bear stickers. I didn’t get a separate photo of the contents this time, but I can assure you the box was filled to capacity. 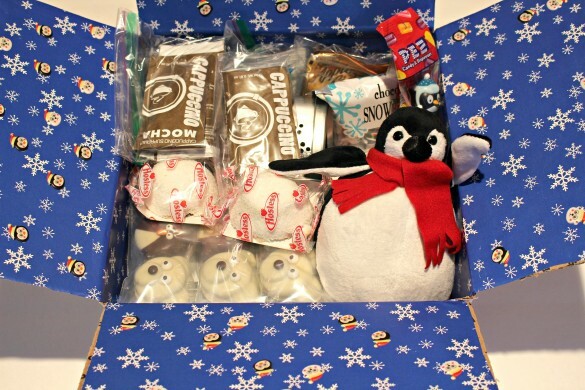 In addition to my baked/decorated cookies this care package transported a stuffed penguin, a Pez penguin, chocolate snowball candies, packaged Hostess Snowball cupcakes, hot drink mix for cappuccino, cider, and hot cocoa, and a canister of caramel corn that, when empty, doubles as a flickering lantern with a battery operated candle. This was a very sweet snack driven package! 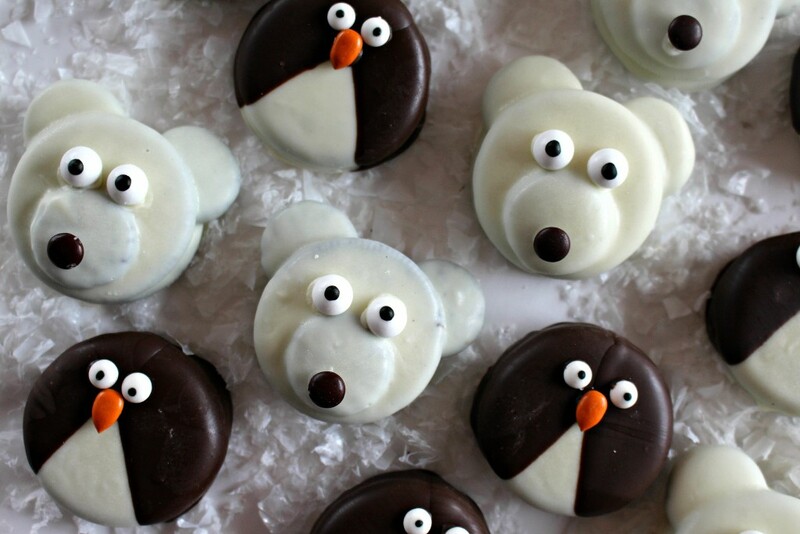 The Penguin and the Polar Bear Oreos are very easy to make, but require a little patience. I made all of the mistakes for you. Follow these simple directions and you can avoid any frustration I encountered. Both designs use regular Oreos (NOT double stuff) and mini Oreos. For 24 decorated cookies, 12 of each design, I used 2 ½ cups of melted white chocolate (Chocoley.com Candy and Molding discs) and 1 cup of melted dark chocolate (Chocoley.com Dipping and Coating discs). The thicker formula of white chocolate is better for fully coating a heavy, thick cookie like an Oreo. The slightly thinner dipping formula is perfect for the double dipping required for the penguin cookies. 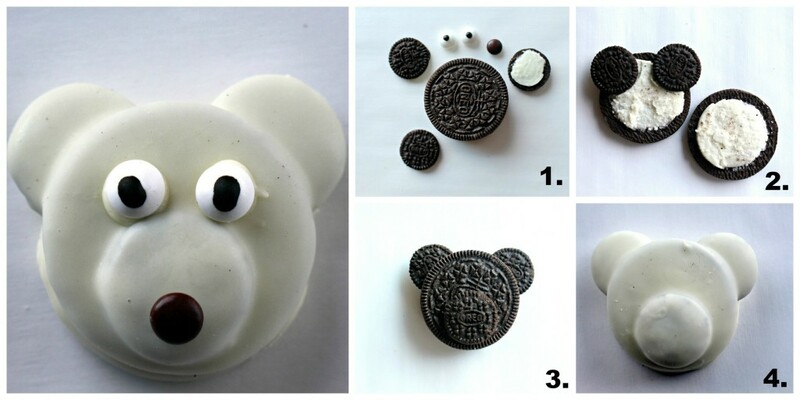 Each Polar Bear Oreo requires 2 regular Oreos, 2 mini Oreos, 1 brown mini M&M, and two candy eyes. In preparation for assembly, twist open the 2 regular Oreos and the mini Oreo so that the filling remains on one side and the other side is just cookie. The 2 filling sides of the regular Oreos, and 1 filling side plus 2 plain sides of the mini Oreos will be used. Store the unused sides for another project or eat them as you go. To assemble, press the 2 plain mini Oreos (ears) very gently onto one of the regular Oreos. Gently press the second regular Oreo on top. 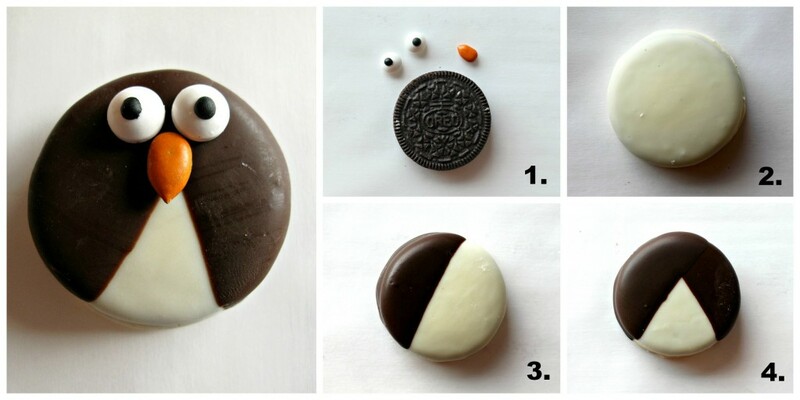 Using the filling as “glue”, attach the mini Oreo with filling (snout) on top. Dip the assembled polar bear in melted white chocolate, tap to remove excess, place on a wax paper lined baking sheet, and refrigerate until the chocolate is set (about 15 minutes). Use a toothpick to apply a dot of melted chocolate to “glue” the candy eyes and mini M&M nose in place. Penguin Oreos are almost assembly free. The only patience needed is for waiting for each layer of dipped chocolate to set.Each Penguin Oreo requires 1 regular Oreo, 2 candy eyes, and 1 orange chocolate coated sunflower seed. 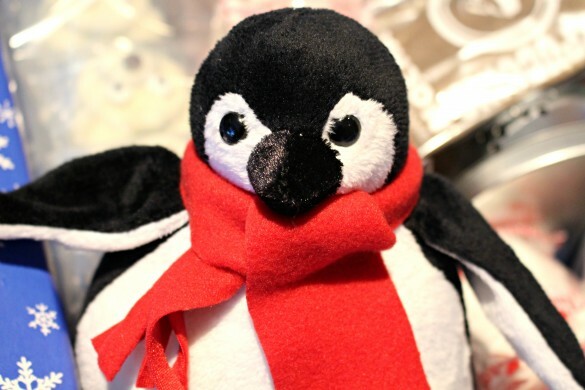 (The supermarket penguin Oreos used piped icing for an orange beak and feet, plus a red bow tie. I eliminated those for simplicity sake). To assemble, dip the Oreo in melted white chocolate, tap to remove excess, place on a wax paper lined baking sheet, and refrigerate until the chocolate is set (about 15 minutes). Dip one third of the coated Oreo in melted dark chocolate, tap to remove excess, and refrigerate again until set (about 5-10 minutes). For the final chocolate dip, coat the opposite side of the Oreo 1/3 into the dark chocolate. Refrigerate to set. Use a toothpick to apply a dot of melted chocolate to “glue” the candy eyes and beak in place. Store Penguin and Polar Bear Oreos in an airtight container at room temperature for several weeks. For shipping, wrap 2-3 cookies in plastic wrap or sealed plastic bags. Place several wrapped bundles into a larger freezer weight zip lock bag. Pack securely ensuring no movement in transit. 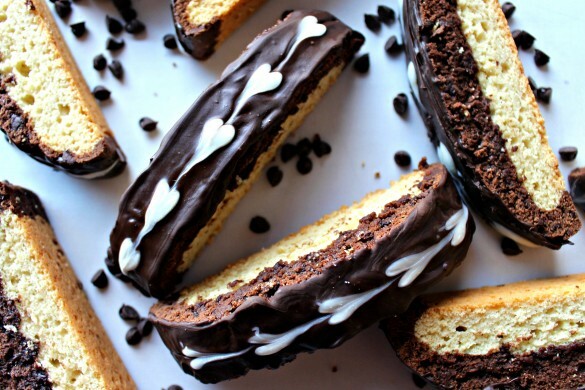 Black and White Biscotti (a.k.a. Penguin Biscotti due to their black and white attire) are the new recipe included in this care package. 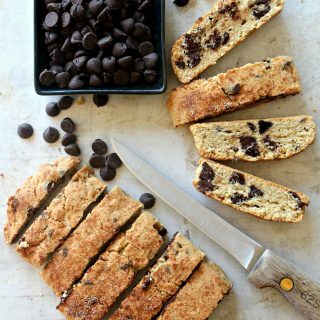 Coconut White Chocolate Biscotti (a.k.a. Polar Bear Biscotti) would have gone well with this theme too. 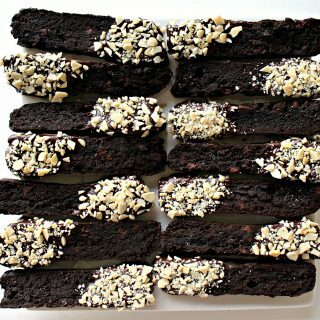 Black and White Biscotti are made with a layer of vanilla dough encased in a layer of chocolate dough. The crunchy-but-not-hard texture of these cookies is perfect for dunking in the beverage of your choice, or munching on their own. I have no experience with deployed Navy care packages and have been told that mail to ships can take three weeks. Biscotti are the perfect cookie for longer storage. I can be assured that whenever Sailor J. gets her care package, the Black and White Biscotti will be crunchy and delicious. Our weather has just turned cold and snowy, an excellent backdrop for Penguin Awareness Day! I suggest you celebrate by dipping and dunking. 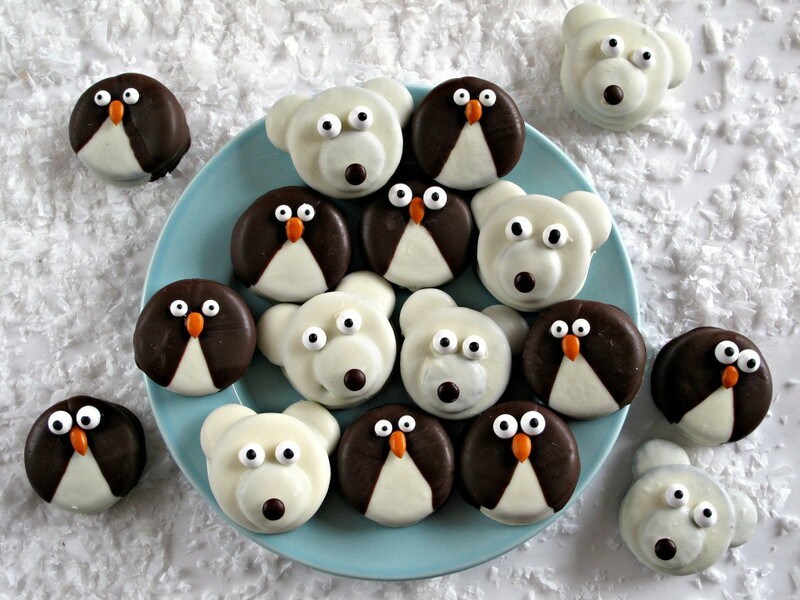 Dip Penguin and Polar Bear Oreos in chocolate. Dunk some Black and White Biscotti into a mug of something soothing and stay warm! Another adorable cookie Wendy! You are indeed creative. I can’t wait to hear if your sailor responds 🙂 How fun! Thanks, Tricia! I am developing a repertoire of cute cookies! 😉 I can’t seem to resist their eyes! It would be great to hear from Sailor J., even just to know how long the mail takes and what some of her favorite things are. If I don’t hear anything, I’ll just wing it! These polar (opposite poles, of course) cuties are the best!! 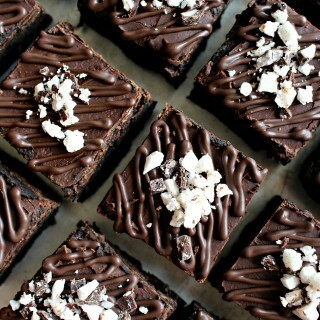 I am so psyched that you even used the mini Oreos for them. That is pretty brilliant! And the whole care package theme works great, too. 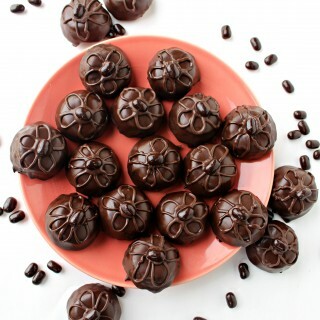 Warm beverages, adorable dipped Oreos…I’m hiring you to assemble packages when my kids leave home! Thanks, Mir! With all of the cold weather and snow, a warm beverage and dipped Oreo is definitely comfort food! The best part of working with the Oreos, is eating the halves that I don’t need for the design. 🙂 Did you know that the mini Oreos taste different from the big ones? Wendy, these are incredibly adorable! 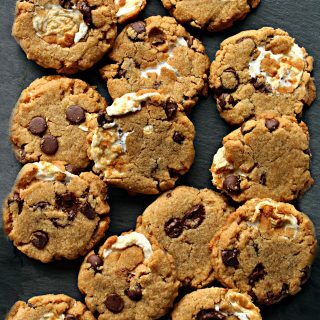 Your cookies are perfectly executed and so smart. Do you pick the themes or is it assigned to you? I didn’t realize they were from opposite poles! Learned something new today! 🙂 These oreos are just too darn cute! So fun for wintery weather too!! Amazing what one can learn while dipping Oreos! 😉 Thanks, Ashley! Surely, these little guys will offer a smile or two. They certainly make me smile. Plus, everyone loves Oreos! Oh my gosh Wendy, these are so… adorable. I know your sailor girl will be THRILLED to open this box. You are so very creative! Thank you, Chris! Hopefully, if I have fun making the cookies, Sailor J. and friends will have fun receiving and eating them! Dear Wendy, Your sailor is going to flip. These penguins and polar bears are absolutely adorable. 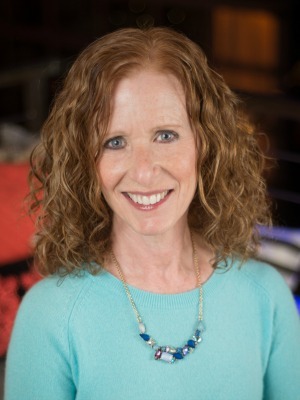 I loved learning what you’re doing with Soldiers Angels – what a great program! And a great box of goodies. These are so stinkin’ cute I can’t stand it! Thank you for including all the photos showing the process! It must be time-consuming to do that but it helps so much. Your sailor is going to be thrilled to get this! It’s so thoughtful and fun. Kind of like Christmas all over again. Thanks, Reeni! I felt so goofy smiling at these decorated Oreos, but I couldn’t help it! The cookies are easy to make, but not so easy to describe. A picture speaks 1,000 words, thanks to Picmonkey! 🙂 I do hope you are right! The happiness of Christmas is just what I wish will happen when this box is opened! Those are seriously so cute!!! I love both animals. What a fun care package!! !